Colourful damask labels woven with the words brow, cheek, nose, jaw, ear, lips, neck, with dressmaker pins on canvas, 88 x 72 cm and 88 x 72 cm. Brow, cheek, nose, jaw, ear, lips, neck is a portrait of Jane, a Leicestershire dairy farmer with 130 milking cows in her herd. 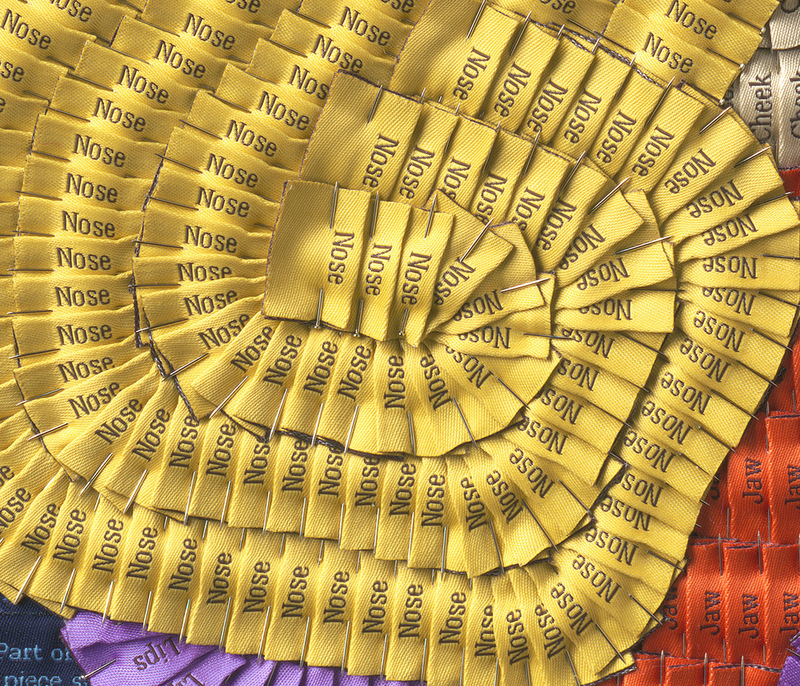 The image is created by pinning thousands of woven labels onto canvas to reflect facial anatomy and the patterns produced by hair and clothing. Jane, portrait of a farmer was selected and exhibited at The Royal Academy Summer Exhibition, Main Galleries, Burlington House, London, W1J 0BD, 9th June - 17th August 2014. 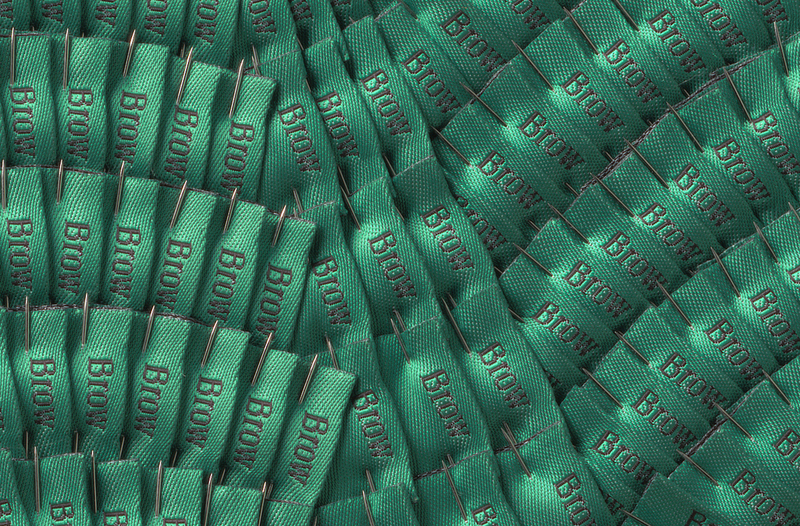 Jane has evolved from a process of assembling 30,000 used labels and questions the idea of branding by literally describing specific facial features. 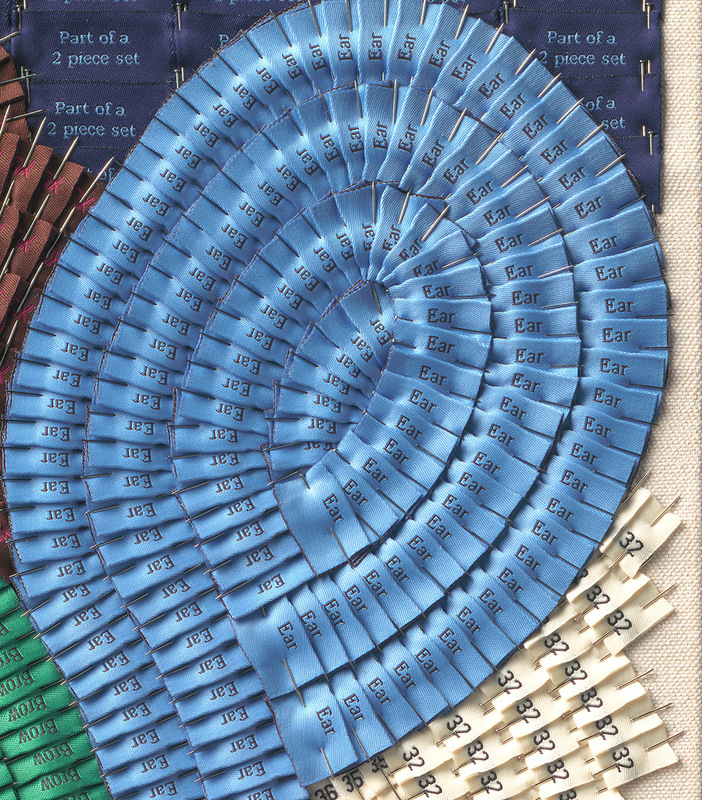 The navy blue background label is woven with the words, ‘part of a 2 piece set’, and refers to a second portrait of an Ayrshire calf reared by Jane on the farm.